JOHNS CREEK, Ga. -- Police are asking for the public's help, Friday night, as they search for a suspect in an alleged assault. Johns Creek police have obtained a warrant for Mickey Wright who allegedly assaulted a car wash employee on Thursday. According to police, Wright pointed a pink handgun at and threatened an employee who he thought stole drugs out of his car. 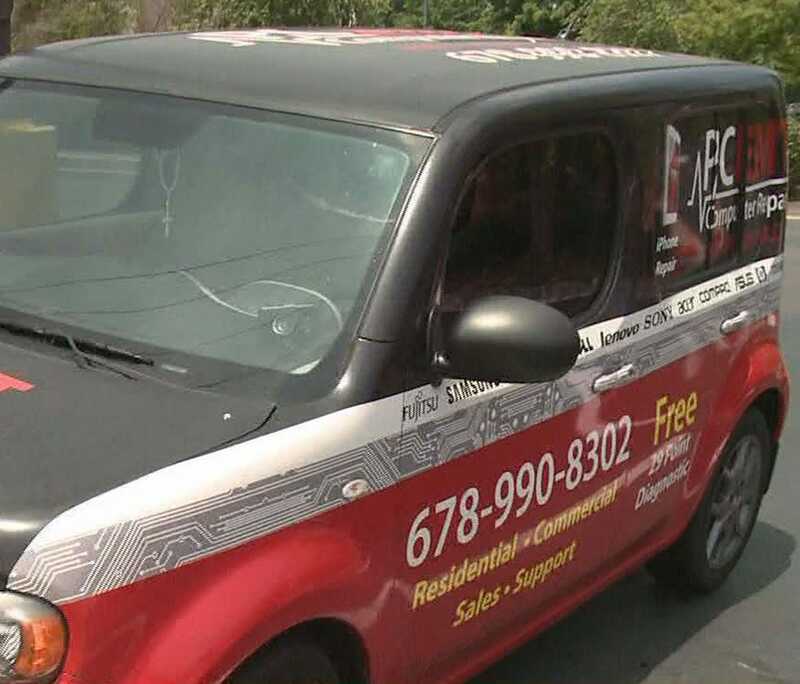 JOHNS CREEK, GA (WXIA) -- A north Fulton business owner wants to park his stickered car near a busy intersection in Johns Creek, but city leaders say it is against the law, and hurts the appeal of the community. The intersection at Jones Bridge and State Bridge roads in Johns Creek is one of the busiest in the area, but there are no signs that can be seen from the roadway in the area. One small business owner says the city and its sign limitations are hurting his business. JOHNS CREEK, Ga. -- Nerves are rattled in several Johns Creek neighborhoods after numerous bear sightings were reported in the same area. Authorities believe the same bear has been spotted several times. Harriett Hughes was enjoying a quiet morning in her home when it was interrupted by an unlikely visitor. "I heard this tingling noise and when I raised my eyes, there was the bear standing at the bird feeder," Hughes said. Hughes grabbed her camera and snapped several pictures while her husband called police. JOHNS CREEK, Ga. -- The Johns Creek Police Department is searching for a missing 83-year-old woman. Soon Park was last seen Sunday at her Haynes Bridge Road home. She is Asian, 5 feet tall and 120 pounds, with white hair. Police have conducted a door-to-door search and neighborhood canvass, but haven't found Park. Investigators are now searching the surrounding area. Anyone who sees Park is encouraged to call Johns Creek Police Capt. Chris Byers at 678-314-8625. JOHNS CREEK, Ga. -- A Chattahoochee High School student was charged with battery after punching a soccer referee over what he believed to be a bad call. It happened Apr. 29 after Chattahoochee High's varsity boys soccer play-off game against Milton High School. According to an incident report from the Fulton County Schools Police Department, Milton was ahead 1-0 with only 90 seconds left in the game. As Chattahoochee's team moved the ball toward the goal, a Milton player stole the ball, then fell to the ground. A game official, 32-year-old Christopher Heintzman, threw a penalty flag against a Chattahoochee player. Milton won the game. Moments after it ended, several students told school resource officer Richard Grant they saw the Chattahoochee player attack Heintzman. Another referee confirmed the student "punched (Heintzman) in the face with a closed fist," according to the incident report.